Among the dozens of people who addressed Colombia’s Congress this week before lawmakers ratified a peace deal with the country’s largest guerrilla group, Richard Moreno stood out. Men like him don’t often get to confront the ruling elite. So when he got his turn at the podium, Mr. Moreno, an Afro-Colombian activist from Chocó, one of the poorest and most violence-scarred departments in the country, didn’t speak. He bellowed. In the end, lawmakers approved the deal, in the Senate on Tuesday and in the House the next day. Yet this milestone, which paves the way for the disarmament of the Revolutionary Armed Forces of Colombia, or FARC, is being greeted with more apprehension than jubilation. The final stretch of the peace negotiations, which began in 2012, deeply polarized the nation. In October, a slim majority of voters rejected an earlier version of the deal in a plebiscite, forcing President Juan Manuel Santos to go back to the negotiating table to seek additional concessions from the FARC. His team reached a more favorable accord, under which the FARC agreed to, among other things, surrender all its assets to compensate victims. Opposition lawmakers argued that those concessions were insufficient and boycotted the votes. Now that the deal has been ratified, Congress must move quickly to pass a series of bills to put it into effect. 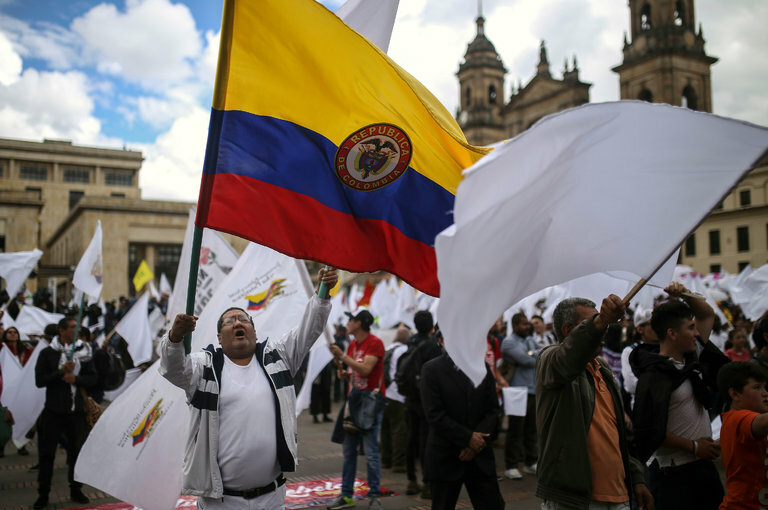 These include an amnesty law for rank-and-file FARC members, a legal framework for a transitional justice system and a pathway for members to establish a political party. Mr. Santos is seeking to pass this legislative package under an expedited mechanism that would cut down the procedural steps normally required under Colombian law. The country’s top court is expected to rule as early as next week on whether the fast-track legislative process could be used under these circumstances. The court should allow it. Failure to do so would lead to a protracted, monthslong debate in Congress while FARC fighters remained in limbo in jungle hide-outs, which raises the likelihood of further cracks in the fragile cease-fire with the government. If the measures are passed promptly, the guerrilla group’s disarmament under the supervision of the United Nations could start before the end of the year. When Mr. Moreno spoke, he didn’t dwell on the legal and procedural disagreements that turned the national debate over the peace deal so toxic. For him and many others, the country faced a much more urgent decision — to take a chance on peace after five decades of violent conflict. Colombian judges and lawmakers will now have to make sure that this promise is fulfilled as quickly as possible. A version of this editorial appears in print on December 2, 2016, on page A26 of the New York edition with the headline: Turning Colombia’s Peace Deal Into Reality. Posted December 2nd, 2016 .